The Titan Okeanos, divine personification of the World Ocean, surrounds our habitable lands. 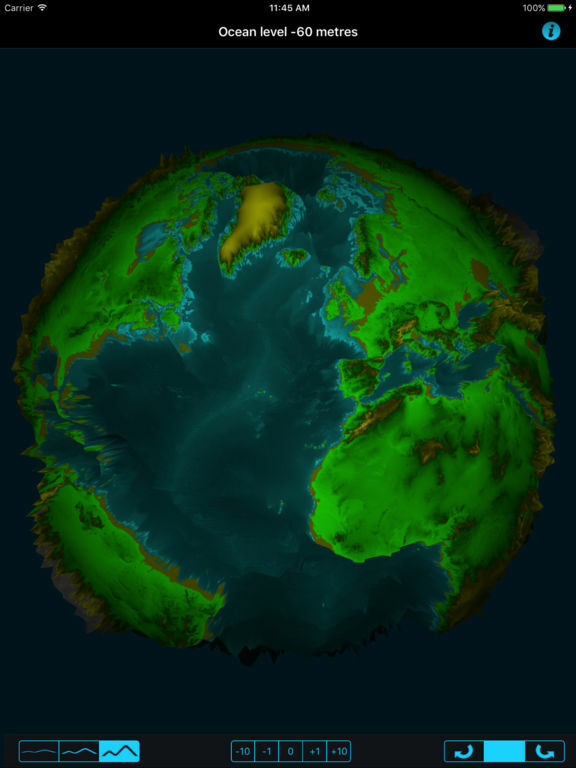 Raise and lower the ocean level on this 3D globe to see the effect on our world. Based on the ETOPO data set from NOAA’s National Geophysical Data Centre, use Okeanos to check out the extent of Doggerland when the Ice Age drained the North Sea, or figure out how much the sea level would have to rise to sail into Samarkand! Reveal ancient land bridges and speculate about future coastlines.